You will need the necessary hiking equipment if you plan to doing any hiking on your outdoor vacation. Being that many of the best cabin rentals cabin rentals are usually outside National Parks, a hiking adventure would be one of the best activities to plan. Some of the best places to hike in this country are, of course, our National Parks. The top three parks to hike in are the Great Smoky Mountain National Park, Rocky Mountain National Park and Yosemite National Park. 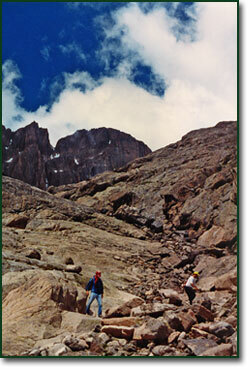 Each park offers several different levels of trails for your hiking vacation. Bring along your hiking equipment and visit the Great Smoky Mountain National Park. It is the most visited National Park in the country with nearly 10 million visitors a year. There are hundreds of miles of trails in the Smokies. Rocky Mountain National Park offers snow capped peaks and alpine mountain lakes that will take your breath away. It also boasts the highest continuous highway in the United States at over 12,000 feet in altitude. Yosemite National Park features some of the most famous scenic areas on our planet. Thanks to Ansel Adams, Yosemite Valley is one of the most recognizable recreation areas in the world. You can also hike amongst the giant Sequoias, the largest living things on the planet. If you have never seen one, they are an incredible sight to behold. These three parks are our favorites and feature hundreds of miles of the best hiking available. Of course there are many more national parks and recreation areas for your hiking pleasure. Here is the complete list of National Parks where you can search by state. What's the number one piece of essential hiking equipment? That would be a water bottle. You've got to have your most basic need covered. Any hike more than two miles requires that water be taken along. I can't stress this enough, hiking boots are an essential part of a hiker's equipment just as a water bottle is. Do not try to hike rocky trails in your tennis shoes. At the least you will have very sore feet, at the worst you could twist your ankle making the rest of your hiking adventure an unpleasant experience, not to mention getting back to the car quite an adventure. Hiking boots have much sturdier soles, for stepping on rocks and branches, than do your tennis shoes and they have higher and stronger sides to keep your ankles supported helping to avoid sprains. You want your hike to be about the scenery, not about your feet. I have made the mistake of taking a 9.5 mile hike in my tennis shoes. Take my advice, don't hike without boots! A backpack is also recommended if you plan on hikes more than 6 miles. You can carry food, water, a small first aid kit, a jacket, rain gear, and any other essentials in a small comfortable pack. You never know what kind of weather or conditions you will encounter on longer hikes. You can start out on a perfect morning and encounter rain, snow or drastic temperature changes in just a very short period of time. I recommend the Coleman® Weekender II for anything more than a short hike. How about a map or GPS device for a great piece of hiking equipment! The Atlas & Gazetteer Book Series gives you detailed geographical information, GPS grids, complete travelways for fishing and hunting areas (indexed by type of game), hiking, canoeing...even seaplane routes! The Atlas & Gazetteer Series give you all the information you could need for a lifetime for a specific state location. And a GPS device tells you exactly where you are at all times making it virtually impossible to get lost. It's a great asset to have on a long hike or trip. If you want to get really close to nature, a pair of nice binoculars is a great asset. Bring in the beauty of your surroundings by zooming in on wildlife, the trail ahead or the mountains in the distance. And for that really cool pair of binoculars, you can now get some with a built in digital camera. Zoom in on that perfect nature shot, and keep it forever! Planning Your Hiking Vacation? Rent a Private Villa, Home or Condo, Click here.